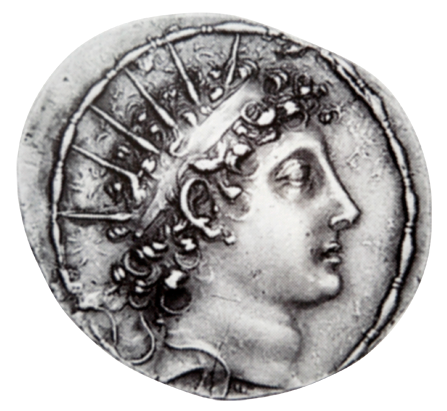 Antiochus VI was the son of Alexander Balas, and the formal ruler of the Seleucid Empire from 145 BC and until 141 BC. Antiochus VI did not actually rule. Either already in 145 or in early 144 BC he was nominated by the general Diodotus Tryphon as heir to the throne in opposition to Demetrius II, and remained the general's tool. He died in 142 or 141 BC - some sources claim he was killed by Tryphon, whereas others state that he died during a surgery.